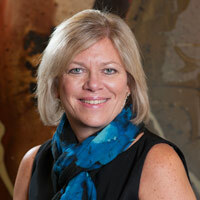 Joni Spratt Named As An "Unsung Legal Hero" By Minnesota Lawyer - Trepanier MacGillis Battina P.A. Trepanier Magillis Battina P.A.’s Firm Administrator Joni Spratt has been named as a 2016 “Unsung Legal Hero” by the Minnesota Lawyer newspaper. The Unsung Legal Heroes award honors law firm employees who have consistently gone above and beyond the call of duty often behind the scenes. This award is reserved for the state’s most talented and dedicated legal support professionals. Recipients will be lauded at a luncheon on Thursday, Sept. 8, at the Hyatt Regency in Minneapolis. Congratulations to Joni!